Clara Fornés (1979) studied Chemistry at the University of Valencia. In 2005 she furthered her studies at the Institute of Industrial Rights of the University of Santiago de Compostela (IDIUS). In 2006 she worked for the Patent and Trademark Agency Ungria Patentes y Marcas, S.A. as a patent counsel. 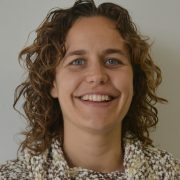 In 2007 she worked in the Knowledge Trasnfer Center (CTT) of the UPV with full dedication to ITQ. In 2010 she joined the Institute of Chemical Technology (ITQ), a joint research centre of the Spanish National Research Council (CSIC) and the Universitat Politècnica de València (UPV) where she currently holds the position of Knowledge Transfer Manager. Her duties include, helping researchers with the development and processing of different public funded national and international research projects (e.g. 7FP), preparation and negotiation of R+D agreements with industry, drafting, filing and prosecution of patent applications, drafting and negotiation of licenses etc.